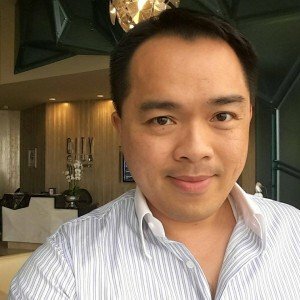 My name is Jerry Chen and I am here to serve you! I am a former rocket-scientist (literally) turned professional marketer. I have been in the Network Marketing industry since 2004 and able to create multiple 6-figure businesses both online and offline since 2006 in network marketing, affiliate marketing and info marketing (including marketing my own products and services). Today my business has a combined downline members of just under 20,000 while earning as much as $24,700.06 in monthly income. As you have probably already noticed, this website contains a wide range of information regarding the home business industry. End the silly debate of “Online vs. Offline” | “New-school” vs. “Old-school”, and unite the divided industry as one to not only help raise the overall image of the industry but also positively impact 1 Million people. There are folks out there seriously hurting financially (which leads to other challenges) and we have the solution as an industry! Alright… I don’t want to stand on a soap box and launch into a full-on lecture. 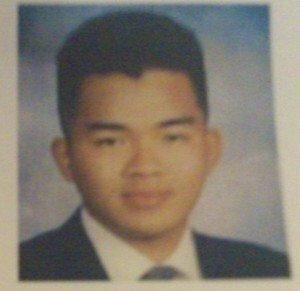 So… who is Jerry Chen? I remember not knowing how to pronounce the food I wanted to order at restaurants, fell just short of blowing up my bladder because I was too embarrassed to ask where the restroom was with my broken English and terrible accent. Going against the odds, I graduated in the top 1% of my high school class and worked feverishly to master the English language. I eventually earned a degree from UC Berkeley and a professional certification from California Institute of Technology (Cal Tech) in Engineering. I know a thing or two about working hard and attribute whatever accomplishments I may have in business to my high school and college years as a young immigrant trying to survive in a challenging environment. In 2004, while starting out in as an aerospace engineer, I was approached by a complete stranger about an ‘opportunity’ and began my journey into the world of network marketing. I did my due diligence researching extensively for 2 weeks, about 3 hours each day, and even went so far to call the Federal Trade Commission (FTC), not once, but twice… to make sure that I was getting into a legitimate business. I rushed out of the gate thinking that it was going to be cake-walk… talking to friends & family, meeting new people within 3-foot of me, writing down the list of 100… the works. And then I learned that it wasn’t my techniques but my posture and attitude that caused me to fail. From year #2 moving forward, I began sponsoring people rather successfully, making sales to retail clients and ended up making decent money (FYI: it felt a lot like a second JOB instead of a business). Upon reaching the top of the bonus chart of my company at the time, the very challenge of not being able to ‘duplicate’ myself FRUSTRATED the heck out of me, and none of my uplines had better strategies… so I turned to the Internet praying for an answer. I bought a couple of the top selling “attraction marketing” ebooks, and the rest, as they say, was history. In the beginning though, just like how I started as a newbie in the industry, was pretty rough as I didn’t know really how to piece it all together using online strategies and technologies. But within the first 60 days, I started generating leads online for the first time in my life! Eventually I amassed a list of over 20,000 people with over 2,100 of that list becoming customers and downlines of my primary business at the time. So… what’s Jerry Chen up to these days? I now devote my attention to helping those that are willing learn skills that will sustain them financially through any business opportunity. These skills, most particularly leadership and marketing, have been gained through my personal investment of over $50,000 in educating myself, implementing and testing what I learned, and hundreds upon hundreds of hours of brainstorming and strategizing with fellow leaders over hundreds of gallons of beer (oops….). If you feel inspired, I will hand you the simple, never-fail, 5-Step Formula that my business partner and I have used to create EIGHT different 6-figure businesses online since 1997 and as well as the most cutting edge information I get our hands on when it comes to building an incredible home business life style. Just click this link. Not only will you learn from me but also from my mentors and fellow industry leaders (this is not a one-man-show… and I’m very much anti-guru, by the way) about creating wealth while having a life. I have compiled a series of exclusive, 1-on-1 interviews with 6, 7, 8 and even 9-figure earners in the home business industry. You get this series of inspiring interviews, FREE, as well. My message is about living life fully through wealth creation and having a balance. It’s not just about the mighty dollar (which is rapidly collapsing as we speak, by the way…). Please also feel free to visit my Facebook Page, Facebook Profile and Twitter.